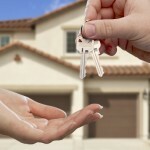 Are you thinking of buying your first home in Arizona? 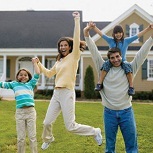 Would you like information on the various programs and incentives available in AZ to help you purchase that first home? If you answered yes to these two questions, there is great news for you. The state of Arizona provides down payment assistance for its residents who are first time home buyers and need help with the down payment and closing costs. This money comes in the form of state grants. This is free money that shouldn’t be passed up! The program amounts can be in the thousands of dollars. It will be well worth your time to educate yourself about the grant programs that the State of Arizona provides. 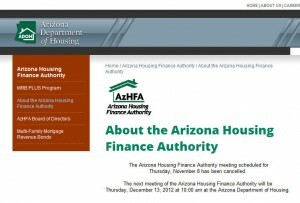 The agency in Arizona that provides assistance to the home buyers is The Arizona Department of Housing. 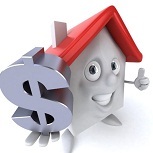 There are a several programs available, depending upon the program and your income. To find out which grant programs you may qualify for, please visit the Arizona Department of Housing website page specifically describing all the grant programs. While you are there, we suggest you sign up for their free newsletter. The Arizona Housing Finance Authority is implementing a new first‐time homebuyer program to assist with the financing of a first home purchase. The MRB Plus combines the attractive first mortgage interest rate of the Mortgage Revenue Bond loan with downpayment and closing cost assistance. The MRB Plus will offer assistance in the amount of 5% of purchase price, that can be used as down payment or closing costs. The MRB Plus program is available in all areas of Arizona outside of Maricopa and Pima counties. This is a great resource for Arizona residents and one that should not be overlooked. To get more information, simply go to their brochure at brochure. b. An individual who is a displaced homemaker and has only owned a primary residence with a spouse. The First Time Homebuyers Program through TMM is designed to assist low-income homebuyers with the purchase of an affordable first home. 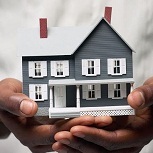 The following guidelines are provided to assist TMM’s clients, mortgage companies, banks, realtors and other community members in understanding TMM’s First Time Homebuyers Program and to engage all parties in developing an affordable home purchase package. Housing America Corporation was founded in 1976, with the objective to address the need of affordable housing in Yuma County and provide opportunities to low income individuals and families to obtain a secure, affordable and safe home. Housing America’s first project was Del Pueblo apartments, a 40 unit USDA Rural Development Farm Labor housing complex in Somerton, Arizona. Consequently, Colorado Street Apartments, a 32 unit USDA Rural Development farm labor housing complex was also built in Yuma, Arizona. This entry was posted in First Time Home Buyer Grants, First Time Home Buyer Info, First Time Home Buyer Programs and tagged Arizona Housing Finance Authority, Dept. of Housing and Urban Development, down payment assistance, MRB Plus. Bookmark the permalink.